When it comes to building projects, clients expect a higher level of specific expertise than ever from their architects, engineers and construction managers. Firms that provide these services have adapted over the years, deepening their areas of specialization by industry as well as by service area. BBS Architects, Landscape Architects and Engineers began to specialize in K-12 and other education projects in the late 1980s, and over the last two decades, the Patchogue-based firm has designed educational facilities totaling about $3 billion in construction costs. The firm’s current projects include district-wide capital improvements for the Comsewogue Union Free School District in Port Jefferson Station, a new school building for the Hempstead Union Free School District and an extension to an existing building at Long Island University in Brookville to accommodate a new business incubator. Part of the expertise involves dealing with the New York State Education Department in Albany and preparing needs analyses to prepare presentations for local voters. The firm opened a seven-person office in Albany in March, in part “because it gives us an access point close to the Education Department,” Smith said. EW Howell Construction Group, a construction management and general contracting firm based in Plainview, has specialties in the areas of retail and hospitality, arts and culture, K-12 and higher education, and healthcare. With its big focus on K-12 education, BBS must contend with the challenges of a short building season. Another potential drawback is that “when you’re specialized, people might think your capabilities are only there,” he said. However, BBS’s expertise in K-12 education helped it make the necessary connections to make inroads to other public projects. “It helped us get into other municipal work,” Smith said. The company has designed various types of public facilities over the years, including libraries, historic preservation projects, recreation facilities and playgrounds. Current projects include additions and alterations to the Port Jefferson Free Library and several historic preservation projects for Suffolk County. H2M architects + engineers, an 85-year-old Melville-based multidisciplinary firm, has evolved since its early days, when it focused on civil engineering and water resource engineering to support Long Island’s development into the nation’s first suburb. With its comprehensive services, the firm can continue to meet clients’ needs as they evolve. Over the last five years alone, the company, which now has seven offices, has grown from about 220 employees to 400 as it has “achieved deeper levels of expertise in a number of disciplines.” It has also broadened its industry specializations, which include education, assisted living, emergency services, energy and utility, and other municipal projects. The firm’s growth and broadening of services and industries was achieved in part through acquisitions. In 2013, H2M acquired Carle Place-based David L. Mammina Architects, which brought that firm’s expertise in assisted living in-house. David Mammina, who now leads H2M’s healthcare and senior living practice, “sits on a board that assists the state in establishing design criteria for assisted living facilities, and we get to bring his expertise to our clients,” Humann said. “Since then, we have done seven more acquisitions, and all of them have either enhanced our expertise in a given field or injected a new area of expertise,” Humann said. As part of a planned succession, BBS Architects, Landscape Architects and Engineers expanded its ownership – for the first time since 1985 – to include six new partners. 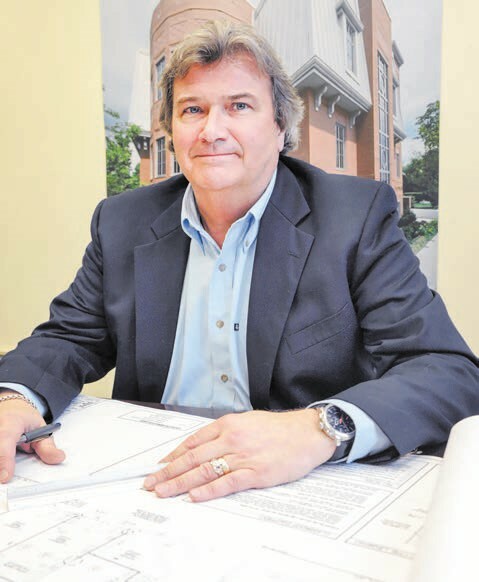 The timing was right, according to Founding Principal Roger Smith, an American Institute of Architects member who has owned the Patchogue-based firm for 33 years and who became the sole owner about a dozen years ago. The new partners are Frederick Seeba, a professional engineer, and five American Institute of Architects members: Lawrence Salvesen, Kevin Walsh, Kenneth Schupner, Joseph Rettig and Gary Schiede. Five of the six new partners are, like Smith, Leadership in Energy and Environmental Design accredited professionals. The new partners have led design efforts for many of the firm’s projects over the years. As it has grown to be a one-shop stop for its clients’ architectural, engineering and water needs, Melville-based H2M architects + engineers went through a significant structural change, realigning its executive team earlier this year. Hyman is responsible for managing the company’s regional office expansion and leading the coordinated management of the locations in New York City, upstate Westchester, Suffern and Albany; and Parsippany and Howell Township in New Jersey. As deputy COO, Mottola’s role is to work with longtime COO Gary Loesch to develop strategies for running the firm’s disciplines.